"Camamo" is a 2012 Mastercraft 190 Prostar with a ILMOR 5.7 V8 engine. It's equipped with a LPG tank. Your rides will be longer and cheaper. 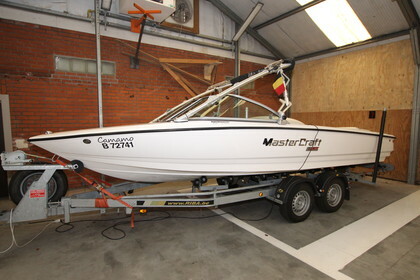 Mastercraft 190 is the best waterski towboat in the world. Mastercrafts wake is known to be the best there is. At the other hand you can seat 7 people. It has a tower and bimini.